According to David Bueltemann, manager of senior claims representatives, CEO Jim Allsup founded Allsup in 1984 after working for about five years as a Social Security Administration (SSA) field representative handling disability claims. According to Bueltemann, Allsup has helped more than 150,000 people receive their disability benefits. "People are too often unaware that a service like ours exists. It.s a complicated process and people can benefit from having an expert they can rely on from day one, though many people check into representation assistance after they have been denied Social Security Disability Income (SSDI), as well," Bueltemann said. Question #1: What is the difference between SSDI and SSI? David Bueltemann: Social Security Disability Insurance (SSDI) is a program based upon contributions made by individuals working and paying into Social Security. Federal Insurance Contributions Act (FICA) taxes are withheld by Social Security on wages paid to an individual. If a person earns enough work credits, he or she is insured for disability benefits. A person can earn up to four credits per year. The number of work credits needed for disability benefits depends on a person's age when he or she becomes disabled. The amount of a person's benefit depends on how much he or she earned and how much was paid into Social Security. At the beginning of 2015, Social Security paid an average monthly disability benefit of $1,165. Supplemental Security Income (SSI) is a separate program administered by Social Security and funded by general federal tax revenues. It pays monthly benefits to the elderly, the blind and people with disabilities who have low income and few material assets. For example, one cannot collect SSI benefits if one's assets (not including a single home and automobile) exceed $2000 for a single person or $3000 for a couple. Question #2: How do I qualify for SSDI? David Bueltemann: You must be insured. That means you must have worked and paid into the program (mandatory payroll taxes) for five of the last 10 years. Additionally, an individual disabled prior to age 31 would qualify with less than 5 years work. For example, a person disabled at age 24 needs only six work credits; if disabled at age 29, you need 16 work credits. You earn one work credit for each yearly quarter that you are employed. You must also meet Social Security's definition of disability. Question #3: What is Social Security's definition of disability? David Bueltemann: SSDI and SSI share the same definition of disability. It is the inability to engage in any substantial gainful activity by reason of any medically determinable physical or mental impairment(s) which can be expected to result in death or which has lasted or can be expected to last for a period of 12 months or longer. We work within the Social Security guidelines to ensure that all the necessary information is gathered and presented in the best possible way to the Social Security Administration. Question #4: Is it difficult to get SSDI benefits? David Bueltemann: Yes. SSA denies about 60 percent of the people filing initial applications. That is why we have more than 600 disability experts on staff, including many former Social Security employees. They know the system, they know the process, and this is all they do. We have managed to reach a 98 percent award rate with our claimants who remain in the process for a final decision. Allsup makes a very difficult process user-friendly. Question #5: Do I need a representative? David Bueltemann: No. However, Allsup's representatives will dramatically improve your chances of receiving disability benefits. As a group, our senior representatives alone have accumulated more than 550 years in disability experience. Question #6: Can I appeal the decision if Social Security denies my claim? David Bueltemann: A person who is denied has 60 days to appeal, which is called reconsideration. If a person is denied again at reconsideration, he has 60 days to appeal and ask for a hearing before an administrative law judge. A person who is denied by an administrative law judge has 60 days to appeal to an Appeals Council. If denied by the Appeals Council, the person can then file outside the Social Security Administration at the Federal District Court. Our expert staff takes our claimants through every level necessary. Question #7: How long does it take to get a decision? David Bueltemann: Processing times for disability applications vary from state to state. Generally, an initial application will take about four to six months before a decision. Reconsideration (first appeal) will take about three to five months more. A hearing (second appeal) will take another 9 to 15 months or more. Question #8: How much will I receive? David Bueltemann: It's a complicated formula largely determined by how much you have earned. The disability benefit monthly average in 2015 was $1,165 per month. During our initial evaluation we will be able to estimate what your monthly benefit would be. Question #9: Can Social Security take away my SSDI benefits? David Bueltemann: Yes. It doesn't happen often, but you can lose your disability benefits if your condition improves to the point that you no longer meet SSA's definition of disability. SSA must show there has been medical improvement related to your ability to work before they can cease your SSDI benefits. Question #10: Can I get additional benefits if I have children? David Bueltemann: Children up to age 18 or who have not graduated from high school are entitled to benefits if a parent is deceased, retired, or disabled. Generally, dependent children of a disabled parent will receive about 50% of the disabled parent's monthly benefit. The 50% is divided equally among all eligible dependents. Editor note: If you several children, the 50% benefit will continue to be split (equally and in full) between your remaining children until each dependent turns 18 or graduates from high school. Question #11: Can a person work and earn a certain amount while receiving SSDI? David Bueltemann: There are two answers to this question that are important to highlight. The first is that the Social Security Administration has a program designed to allow you to try and re-enter the work force without risking your SSDI benefits. This trial work period (TWP) does however have some restrictions. It is limited to 9 months of trial work within a 60 month period but within those months of work there are no limits to how much you can earn and still collect SSDI. Once you hit month 10 however, your SSDI benefits would then be scheduled to end approximately 3 months later. Secondly, the more basic answer is that you can earn up to $810 a month in 2016 without losing your SSDI or having it count against your 9 months of allowable trial work. Additionally, a trial work period is not guaranteed if you return to work before your disability claim is awarded. It is also important to be aware that during a trial work period the SSA can re-evaluate if you are still meeting the disability standards based upon the work you are doing, and this could result in the loss of your SSDI benefits. If after your TWP you are still disabled, you may be eligible for an extended period of eligibility (EPE), a 36 month period beginning with the 10th month of the TWP during which a benefit can be paid for any month in which the earnings drop below the Substantial Gainful Income (SGA) amount. The SGA amount in 2016 is $1,130 per month in 2016 (or $1,820 if you're blind). If medical improvement occurs the TWP could be less than 9 months. Question #12: Are there other benefits from getting SSDI? David Bueltemann: Yes, there are several benefits that come along with SSDI in addition to the regular monthly income. For example, regardless of your age, 24 months after your date of entitlement to SSDI benefits, you are eligible for Medicare, including Part A (hospital benefits) and Part B (medical benefits). A variety of Medicare Advantage plans also are available. Question #13: If a person's income exceeds the Substantial Gainful Income amount and their SSDI income stops, will they continue to receive Medicare benefits if still considered disabled? David Bueltemann: Most individuals with disabilities who work will continue to receive at least 93 consecutive months of hospital and supplementary medical insurance under Medicare, after the 9 month trial work period. You pay no premium for hospital insurance. Although cash benefits may cease due to work, you have the assurance of continued health insurance. Question #14: What happens after the 93 months? Can a person buy into Medicare? David Bueltemann: After the 93 months of premium-free Medicare coverage ends due to work, some individuals who have returned to work may buy continued Medicare coverage, as long as they remain medically disabled. (This applies only those people who are medically disabled but who continue to work in spite of their disability.) Some individuals with low incomes and limited resources may be eligible for state assistance with this cost. Question #15: Does age make a difference when applying? David Bueltemann: It may. If your condition does not meet a specific listed set of medical requirements, a person's age may factor in to the disability decision. Question #16: With someone who is older, SSA may be less stringent than with a younger person? David Bueltemann: Yes. Someone who is under age 50 has potentially a more difficult challenge to being considered disabled by the SSA. Question #17: When should I apply for SSDI benefits? David Bueltemann You can apply as soon as it's determined that you have a disability that will keep you from working for 12 months or longer, or is terminal. A common mistake people make is waiting too long to apply. Question #18: Does SSA still consider Residual Functional Capacity (RFC) when making a disability determination? David Bueltemann: Yes. It is used at step 5 of their evaluation process. Question #19: Does SSDI stop when I become 62 or will it continue until I become full retirement age of 66 years old? David Bueltemann: You will receive the full SSDI benefit to which you are entitled as long as you continue to be disabled. On attainment of your full retirement age (65-67), your benefits will be converted from disability benefits to retirement benefits. Question #20: What do you advise if a person can still work but not at a physical job and cannot find a non-physical job? David Bueltemann: It does not matter to SSA if no one employs you, it only matters to them that you are not disabled. 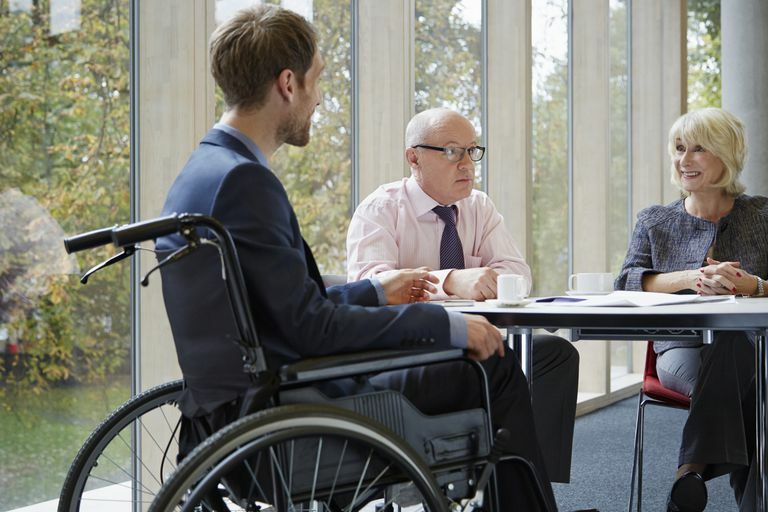 They are judging whether you are disabled, not whether someone will hire you. Question #21: I know that SSA has different critera for different disabilities. What do they specifically look for in rheumatoid arthritis (RA)? David Bueltemann: It's complicated. Here is a link to our website with all the information. Question #22: My doctors have said I am medically disabled. I haven't worked in over 10 years. My statement says I don't have enough credits in the correct time period. Any suggestions, or should I just give it up? David Bueltemann Check with Social Security to see if you are eligible for SSI, which is based on your financial resources. You may be entitled to a retirement benefit at age 62, which has a different requirement for quarters of coverage. Question #23: Are the same criteria that are used to award SSDI to rheumatoid arthritis (RA) patients used to determine if they remain medically disabled even if they return to work? David Bueltemann: The SSA uses the same medical standard that was used to establish your original disability. SSA must show that your medical condition has improved and that this improvement is related to your ability to work. Question #24: In addition to RA, does SSDI also still consider other health problems like side effects of medications, bowel problems, depression, and anxiety? Question #25: Is the ability to work the only thing SSA looks at? I'm currently facing a situation where it is work or everything else in my life. If I work, I don't cook, clean, etc. David Bueltemann: If SSA determines that you have the capacity to work, they will not use a limitation in your daily activities to change that decision. In other words, they will only look at whether you can work that 8 hour day. Question #26: People who are having difficulty working are sometimes afraid to apply for SSDI because of the horror stories about people who were denied and there is obviously no guarantee. How do people know they are ready to apply with a good chance of a successful outcome? David Bueltemann: The truthful answer is to work as long as you can. Then apply as quickly as you can when you are forced to stop working to minimize the time between when you stop working and start receiving SSDI benefits. Question #27: Can you explain how Allsup can help a person achieve the successful outcome? David Bueltemann: What we do is make a complex application process easier to navigate. Our representatives have hundreds of years of Social Security experience. We will walk you through the process. You stay at home and we do the work. Question #28: Do I understand it correctly that once you apply for SSDI that you may receive it the first time around in 4 to 6 months? David Bueltemann: If you are awarded disabilitiy benefits at the first application, it usually takes 4 to 6 months. Question #29: In the case of someone who works full time would SSA give more weight if a person tried going to part time first or does it not really matter? David Bueltemann: If a person is working at a level of income of $1,130 per month in 2016 (or $1,820 if you're blind) which is the Substantial Gainful Activity maximum, SSA will deny a disability claim without considering any medical condition. Question #30: Does having private long-term disability insurance help to get approved for SSDI? David Bueltemann: Not automatically. It does establish that you have a disability but the definitions of long-term disability and Social Security disability are different. Question #31: If the application for SSDI reflects that you are working a 40 hour week, but you state you have difficulty with other daily living activities, you are still regarded as able to work, am I correct? Question #32: What are your fees for consultation? Does Allsup work in all 50 states? David Bueltemann: We offer a free evaluation to determine if you may be eligible for SSDI. We also help people who have been denied benefits or are facing a hearing. If we think you may qualify, and you are awarded benefits, we charge a one-time percentage of your retroactive (back) benefits. SSA sets the cap at $6,0000, or 25%, whichever is less. We also do not charge for incidentals, such as medical records. We work in all 50 states. Question #33: Does Allsup have local offices or would we be working with someone remotely? David Bueltemann: All claims at the first two levels of the process are handled at our national headquarters near St. Louis. We do all the work on the phone and through the mail. If the case goes before an administrative law judge then our representative will attend the hearing with the claimant. Question #34: If you are applying for the first time, there are no retroactive benefits though. Right? David Bueltemann: It depends on when your disability began and when you were awarded. Question #35: Do medications or other IRWE's (impairment-related work expenses) count against the $1,130 SGA limit? If you make $1,200 but need $300 in medications to work, do they count only $900? David Bueltemann: IRWEs could be deducted from the $1,130, but once again, it can be complicated. Most medications are not considered IRWEs, but some might be. This is a complex determination. Question #36: I would like to know if a male would draw more than a female, same age? David Bueltemann: It is based upon what you paid in, not your gender. Question #37: The reason I asked is a gentleman in his 30s with less work history draws more than I did. David Bueltemann: It is not work history, it is based upon what they paid in. It is a very complicated calculation. Question #38: Do you have anything to add at this point David? David Bueltemann: Yes. We always like to point out that SSDI is in no way a welfare program. It is merely a government mandated insurance program. You paid premiums through your FICA taxes when you were working. Question #39: When a person truly cannot continue working and they meet the criteria for SSDI (which you help them determine if they can meet the criteria) there is an entitlement since a person pays into this system, correct? David Bueltemann: Yes. If they have the work history (paid FICA taxes) and can no longer work because of an illness or disability, they may apply for SSDI. Question #40: Do you take cases that have been denied? If so, how long does the appeal process take? David Bueltemann: Yes. We accept claims at any point in the process before an administrative law judge has made his or her decision. Processing times for disability applications vary from state to state. A reasonable answer is that an initial application will take about 4 to 6 months before a decision. Reconsideration (first appeal) will take about three to 5 months more. A hearing (second appeal) will take an additional 9 to 15 months or more. Question #41: How often do you see denials become approvals on the second try? David Bueltemann: Only 14% of the reconsiderations are approved, but the approval rate improves considerably to 63% at the third level (administrative law judge) of the process. Question #42: Do you have a statistic of how many first tries are denied by SSDI? Is it common or uncommon to be denied on the first attempt? David Bueltemann: Social Security denies nearly 2/3, or 64%, of all initial applications. Question #43: How many initial turndowns make it to the third level? In other words, how many people give up? David Bueltemann: We don't have the exact numbers, but far too many. Our more than 25 years of experience tell us that it is very important to stay in the process as long as possible. Question #44: Why would age, education and work experience be a considered factor in whether one might receive benefits? This was mentioned to me when I sought a disability attorney after the second denial. David Bueltemann: Those factors are part of the SSA regulations. If your medical condition does not meet a specific SSA medical listing or if SSA determines that you cannot do your past work, then age, education and work experience are factors in this last step of their evaluation process. Question #45: Why are so many people rejected on the first go around but are then approved later on? David Bueltemann: There are several reasons but the primary reason is that the evaluation process at level three is different from the first two levels. Question #46: In what way? David Bueltemann: Judges must weigh the evidence and answer to higher court rulings. Question #47: How important is a patient's doctor in the process? Are they important in providing letters etc, or are medical records simply accessed? David Bueltemann: Doctors (rheumatologists for arthritis patients) are important at every level of the process and their opinions are especially important at the higher levels of appeal. Question #48: Would a severely handicapped child (now 13) be eligible for any benefits. The child suffers from cerebral palsy and the father is the only one working and they say he makes too much but yet medical expense is atrocious? David Bueltemann: He would not be eligible through the SSDI program. Question #49: Because it is the parent who must be eligible, correct? Question #50: Would the child be eligible for SSI? David Bueltemann: The father's income would be a factor. SSI is means based. Question #51: If someone does not have well-documented medical records do they have a tougher time? What can they do to improve their chances? David Bueltemann: Medical documentation is extremely important in the process. SSA may decide to send the claimant on a consultative examination to help gather information for their decision. Question #52: To their own doctors? To a doctor chosen by SSA I meant. Question #53: Are SSA doctors specialists in the claimants particular problem? Would someone with RA be sent to a board certified rheumatologist? Question #54: All physical evidence is considered, correct? X-rays, lab results, surgeries? All medical evidence is considered. Question #55: Must a person have actually stopped working in order to apply? Question #56: Would statements from your employers help (i.e. documented difficulties in performing your job)? Question #57: What is Allsup's success rate on initial applications? David Bueltemann: Allsup's success rate is about 55% at the first level, compared to the overall success rate of 35%. We want to emphasis the importance of staying in the process and taking advantage of all appeals. Question #58: It is imperative not to be stopped by frustration then? Question #59: Are there any states that are better or worse when applying or appealing? Do some states take a ridiculous amount of time to decide? David Bueltemann: Yes. Award rates and processing times vary widely across the country. Question #60: What can a person expect when he or she goes before a judge? Carol Eustice: This article will let you know what to expect at a hearing and how to prepare. See Preparing for Your Day in Court. Question #61: Where can I get more information about Social Security Disability Insurance (SSDI)? David Bueltemann: We provide a special website, AllsupPlace.com, with more information about SSDI for visitors and customers of Allsup. Thank you for giving us the opportunity to chat and answer some very good questions. Anyone needing more information can call (800)279-4357 or visit www.allsup.com. Chat transcript (edited)- Host Carol Eustice with David Bueltemann from Allsup Inc. Updated 02/03/16. Do You Know the Details of Your Employee Benefit Plans? Are You Disabled According to Social Security Rules?